Southeast Nebraska EMDRIA Regional Network - Regional Network Meeting - "Using EMDR Therapy with Children"
Regional Network Meeting - "Using EMDR Therapy with Children"
Presenter. Terry Becker-Fritz, MS, RN, CS is a Clinical Nurse Specialist specializing in treating young children through adults who have experienced severe and early trauma. She has over 35 years in the mental health field working in most practice settings both as a clinician and director of mental health services. She currently is in private practice in the Richmond, Virginia area. Terry is also one of the Regional Coordinators for the Central Virginia EDMRIA Regional Network. She uses EMDR therapy on a daily basis and has done so since her initial training in 1992. Terry has been active in EMDRIA serving on as a chair of Administrative Committees, on the Leadership Team of the Child/Adolescent SIG; and currently is in her second tenure on the EMDRIA Board of Directors. 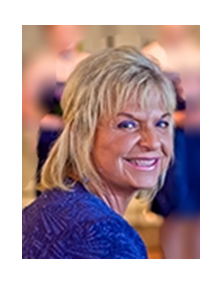 Terry has provided many workshops on use of EMDR therapy with children & adolescents at past EMDRIA conferences and for her Regional Network. Terry is an EMDRIA approved Provider of Basic Training and provides consultation to EMDR therapists pursuing Certification or as Consultants-in-Training. Click here to view the notice of our Regional Network meeting as posted on the EMDRIA website.